I find it a challenge to write about the music of Marcus Schmickler and Thomas Lehn. A challenge because it is a rather abstract soundscape where one can move through or get lost in, and a challange because it is a new universe of sound and music production for me. Marcus Schmickler is a Cologne-based composer and musican, producing his sounds via his computer. I saw him live on stage one or two years ago: a tall man standing behind his computer, concentrated and calm, though the sounds he produces are wild and often confusing and his music is rather abstract. Through a little internet research, I realized that his compositions are based on a rather complex theoretical background, which makes me question if I am the right person to write about his music. I mean, I don't know the programme he uses. I do not produce electronic music myself, and I lack the theoretical background Schmickler has built around his compositions. But continuing on ... where Schmickler uses the computer and digital sounds, Thomas Lehn works with an analog synthesizer (at least on his collaborations here). He also lives in Cologne and will celebrate his 60th birthday this year (Congratulations!!) Besides his duos with Schmickler he is a worldwide active musician with the piano (lesser in recent years) and the synthesizer. 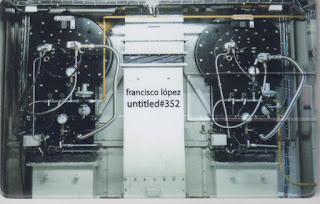 He performs composed works for electronic music and improvises live. On their album Neue Bilder (New Pictures), the duo presents two tracks of live performances, each title names the date of the event. Track 1 '12022016' starts with some long whimping sounds, two, three, four of them. Clicking noises say hello, and as you might already know it is difficult to describe abstract improvised electronic music with words used for music in a more "classical" sense. After three minutes a plane lands somewhere and some kind of radiowave gets disrupted. Six minutes in, an electronic wind moves through some kind of desert, building an echo (I don't know how!) before someone tries to play an old vinyl that cracks and hisses. That cracking sound gets reproduced and amplified and a lot more is going on. In fact, it takes around 14 of the 17 minutes of track one till I hear sounds that evoke some associations with instrumental sounds. Track 2 '9112013' (recorded more than two years earlier) continues the journey through a soundscape that is not mapped out - at least not with the usual instruments. (I have to say that Schmickler and Lehn are by far not the only ones moving in that area. There are a lot of musicans creating abstract electronic music: Merzbow, Microstoria, Mouse on Mars, Ikue Mori and others. 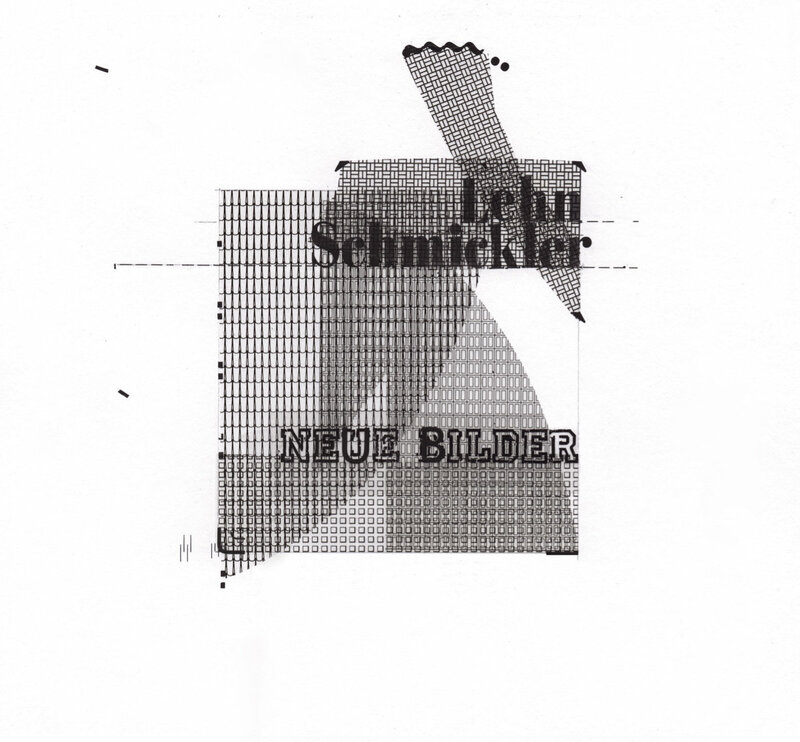 But Schmickler and Lehn are rather radical in their approach. And the difficulty in putting words to this kind of music remains the same with almost all of them.) This one starts with more distortion, more clicks and cracks and the longer sounds follow only after the first minute. 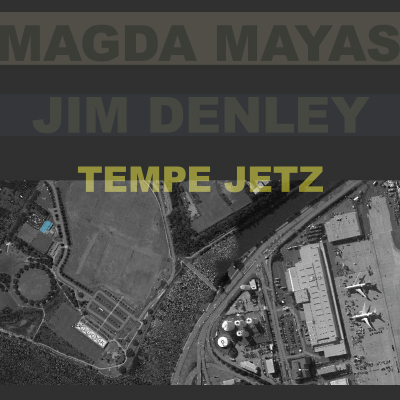 Both tracks carry a tension with them as they move between intense and loud parts and almost absolute silence, and in both tracks there is that plane landing somewhere. For my ears it is difficult to recognize the different parts each artists plays. I actually don't know what sound is produced by Schmickler's computer and which comes from Lehn's synthesizer. And with this in mind, this is the closest to a classic 'duo' that you can get: the sounds heard on the album are the work of a good working partnership. It is a duo in which I do not hear not two separate 'nerds' with their 'toys'. So, after all the challenge and doubt, just how does it feel to hear this album? Is it worth the effort? First this blog and the people writing for it (and probably reading it) are always in search for new and unheard experiences. This was one for me or rather is still one, even though I've heard Schmickler live already. Second in all the abstract noise and sound I can hear or feel the cooperation of two likeminded musicians going to places they think are worth going to. It is a duo in the best sense. Third if you listen to it more than once you'll find structures and sounds that reoccur and they make you feel at home in that soundscape. Finally, last (but not least!!) I was captured by the sounds, by the unfamiliarity of this album. I enjoyed the journey with these two guys. 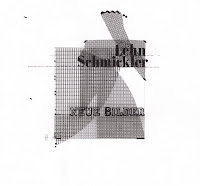 I felt curiosity, unease but also relaxation in certain moments and started to look for more music from Schmickler and / or Lehn. 2017 was Christian Lillinger’s year. 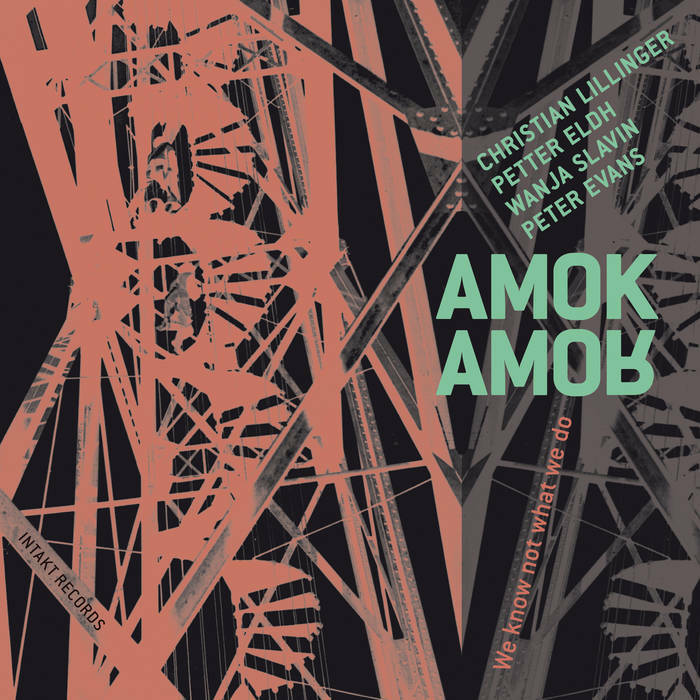 He was awarded the prestigious SWR jazz prize, he founded his own label Plaist Music, he released great (and successful) albums like We Know Not What We Do with his band Amok Amor and Dicht, his duo with Tobias Delius. Apart from his already existing projects like Grünen, qÖÖlp, KUU!, Schnell or Gropper/Graupe/Lillinger he also initiated a new one, Punkt.vrt.Plastik, with bassist Petter Eldh and pianist Kaja Draksler. However, his most exciting project is GRUND, a septet consisting of members with whom Lillinger has interacted and worked together in a wide range of combinations: with bassist Robert Landfermann and pianist Achim Kaufmann he’s the wonderful piano trio Grünen, with Tobias Delius (sax, clarinet) he plays in the above-mentioned duo, Pierre Borel (alto sax) is a part of Schnell, and with Christopher Dell (vibraphone) and Jonas Westergaard he forms another great trio. 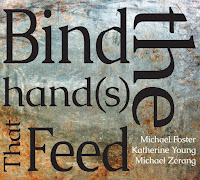 COR is GRUND’s fourth album, after First Reason and Second Reason (both on Clean Feed) and Grund (Pirouet). To cut a long story short - it’s their best so far. As usual, GRUND’s music is partly notated and partly improvised. On the one hand, Lillinger experiments with sounds on this album, no matter where they come from, whether he finds them in new classical music, improv, electronica or jazz. Even if it’s a cliché: the journey’s the reward, he wants everything to be possible in his approach. On the other hand, the band creates different kinds of energy levels that increase and decrease constantly. In order to achieve this, the compositions are often about time, about different tensions, about density and expansion. This becomes obvious in tracks like “Kubus“ and “Dralau“, for example. The first one begins with unison saxophone themes, in the course of the piece some become faster, some slower. The hyperactive playing of the whole ensemble intensifies the already tense atmosphere. The second one presents a hectic off-hand head, the saxophones act like MCs (drum’n’bass is another sound influence). Vibraphone and bass counter the head with melodies that are rhythmically different. The track seems to come apart at the seams, which is also the result of improvised high speed soloing. completely electronic, shrill space sounds ricochet through the air. The title is inspired by Rainer Werner Fassbinder’s 1973 series of the same name and the films by David Lynch, whose name is only hinted at here (Lnch). Although the track is spooky, off-the-wall and psychedelic, it also deals with mere beauty in a bizarre soundscape. It reminds me of the music of György Ligeti. 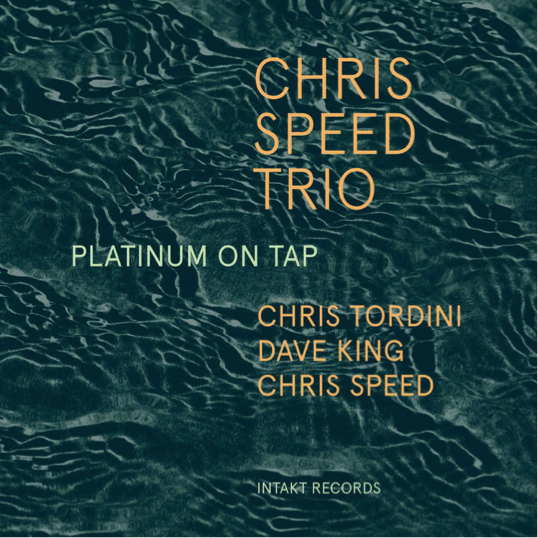 The second outstanding piece is “Carotis“, which starts with a weird flowing pulse created by Robert Landfermann’s bass, from which a solo by Tobias Delius is culled out. Like in “Welt am Draht“ the Fender Rhodes, the piano and the vibraphone display a dense atmosphere consisting of actually isolated parts, echoes from Borel’s saxophone are heard. The result is a warped mesh, again the composition tends to total deconstruction, however, in the end the clear structure and the melodies are back and restore a certain order. Each of the nine compositions on COR is a fascinating, complex cosmos, there’s a lot to discover. 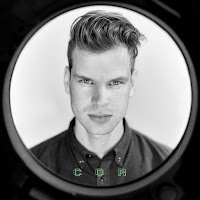 Christian Lillinger says that for him “this band is an organism that makes no compromises“. It’s his dream constellation of an ensemble. 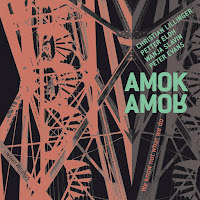 Finally, the album proves that Lillinger is not only a superb drummer (to me he’s the most interestihttps://www.plaist-music.com/ng one at the moment) but also a great composer. Although it’s only January I can’t imagine that there’ll be ten better albums this year. One of the best albums I’ve heard recently. COR is available as a CD, a download and on vinyl (limited 180g edition). All music challenges the relevance of written response (whether by its simultaneity of effects or its heartless invitation to a certain in-built will to verbal description, a kind of failed translation worse than Google), but few musics challenge articulate response with quite the same perfection achieved by drummer Eddie Prévost and much of the work with which he’s associated and which appears with some regularity on Matchless Recordings. Prévost emerged over fifty years ago as a member of AMM with the composer Cornelius Cardew, the guitarist Keith Rowe and the recently deceased saxophonist Lou Gare, an original and unfortunately underknown musician. Since then Prévost has been both the singular constant in AMM (though Rowe and pianist John Tilbury have each been members for decades, some overlapping) and the keeper of Matchless, both AMM’s outlet and that of its closely allied developments—other bands, workshops, a certain set of approaches to improvisation--in which Prévost has been deeply involved. 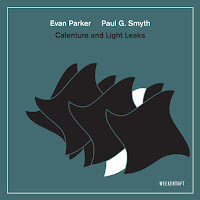 He would have done a valuable service to improvised music if he were responsible only for recording the French band Hubbub and the brilliant English saxophonist Seymour Wright, but he has done far more. 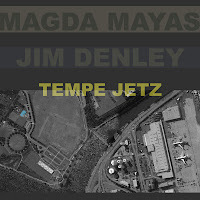 He represents a major and demanding wing of improvised music. This music is relatively easy to listen to, but description is challenging: it’s always the same and yet always different; it’s frequently refined, spare and extended, to the extent that a certain compulsively structural listening and a critical verbalization disappear as the music slowly unfolds, leaving in their place a serene experience of spontaneously evolving music, the materiality of sound and exchange, that is diminished by the self-consciousness of verbal response. When it is briefly perceivable as hasty and harsh, its messages are just as rich and profound. All of this is only heightened by the quality and depth of Prévost’s own commentary on the music and its social and philosophical resonances, beginning with his book No Sound Is Innocent: AMM and the Practice of Self-Invention: Meta-musical Narratives (Copula, 1995) and continuing to the “musician’s note” that accompanies Uncertain Outcomes, an essay that explores “experimental improvisation” from the early work of John Cage and AMM’s work with Cardew, the specific entry points respectively of Christian Wolff, who plays piano here, and Prévost himself. The set documents two concerts. CD1, recorded at Iklectik in London in September 2015, is in two parts, 37 and 18 minutes in length; CD2, recorded at Dartmouth College in New Hampshire, in July 2016 is a singular 50-minute piece. Each musician restricts himself to a relative narrow palate. Prévost uses a bass drum as both drum and resonator and explores bowing and scraping cymbals for sustained metallic sounds, with very rare eruptions of multiple sounds. Wolff plays piano with even greater delicacy, from isolated sustained tones, alternated intervals, subtle use of plucked strings and minimal preparation and an occasional brief melodic figure. A keyboard wind instrument, perhaps a melodica, arises brieflyin both concerts. In the longer first segment of the concert at Iklectic, the resonant musings of one musician summon and enfold the response of the other. There’s a kind of microscopic grandeur at work here, little sonic events assuming a scale based on the attention they demand. Fairly modest bursts of activity (a gong, a splashed cluster, an ascending series of dissonant intervals), however, are sufficiently foregrounded to take on a mysterious drama. The second, relatively brief piece is initially more animated, with Prévost generating a greater range of sounds; midway through, it sounds like the instruments are being played by a strong breeze. These are fleeting impressions. The work’s on-going shape is a diagram of flux. Nothing is predictable, yet everything is sustained. The Dartmouth performance has a greater resemblance to dialogue, with each individual gesture triggering a distinct reaction from the other musician, gradually evolving responsorial patterns. A brief prepared piano utterance gives rise to the sustained sound of bowed metal; a scraped cymbal suddenly gives direct rise to a piano chord. Our ability to describe it is brutally simplistic. The music is not. Every sound, every second, every silence is nuanced, subtle, telling, resonant with something like consciousness. 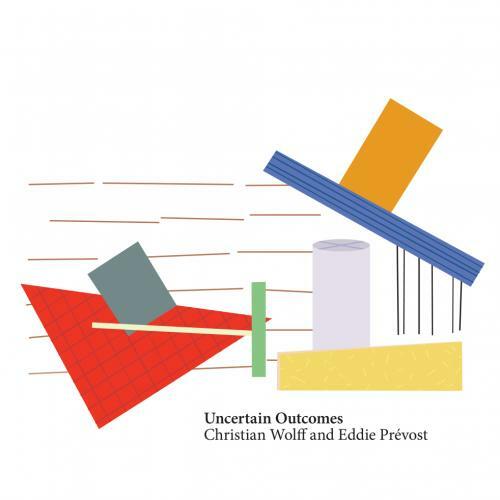 The upshot of listening and reflecting on Uncertain Outcomes is that I emerge feeling better for the listening and with less to say than I began, something oddly akin to reaching the end of David Markson’s The Last Novel, but cheerful rather than despairing, liberated from language rather than buried by it. You’ve really got to hand it to Clean Feed, at a time when many other record labels are on the verge of existence or are cutting back on the amount of yearly releases, Clean Feed (and a few others like them) are still continuing to not only put out a great amount of music each year, but are also ensuring the quality and interest of the music that they decide to release. 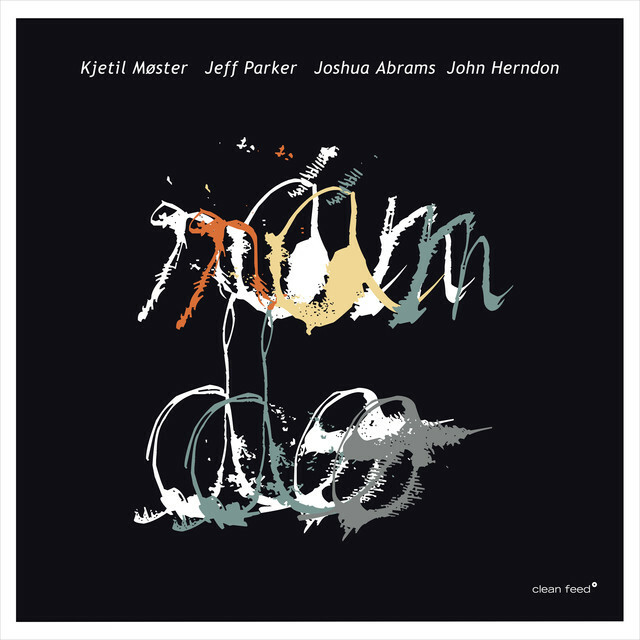 Having been a Tortoise fan in my earlier years I was interested to see that two members (Jeff Parker, guitar, and John Herndon, drums) of that old post-rock group were together in the line-up of this recent Clean Feed release, alongside the saxophonist Kjetil Møster, with Joshua Abrams on bass rounding out the quartet. 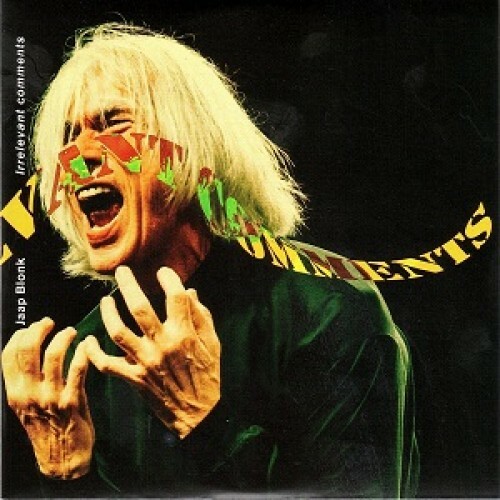 On first listen it was refreshing to note that there were no nods to their past or inappropriate post-rockisms being forced into the improvisational context, and the music came across as being fresh and in the moment. This is not to say that the music doesn’t sit comfortably within a free improvisational/jazz aesthetic, as the structures and sounds used are clearly of that ilk, but it has been done without a rehashing of old forms that offer nothing but a nostalgic trip down memory lane. 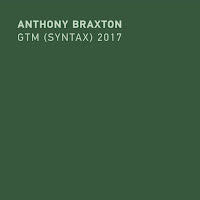 As group interaction goes this particular recording offers the listener a collective experience, with the musicians at times resisting archetypal predispositions and musical roles, instead preferring to mine the seam of equality, which produces a rich tapestry of sounds and textures without any one sound dominating for more than necessary within the musical flow. ‘Anicca’, the longest track on the album, illustrates this beautifully, where the flux of sounds change over time from a European sounding improv opening to a bass and drum groove, to a balladesque form for sax and guitar, which builds slightly into a more agitated setting before an arrhythmic, subtle, and ethereal ending. It’s not surprising to find that it’s garnished with a fitting title - Anicca being the Buddhist doctrine of impermanence. ‘Dig Me Out’ also provides us with an egalitarian form in a freely improvised setting, as does the shortest track ‘Island Life’ with its reflective bowed double bass melodies. 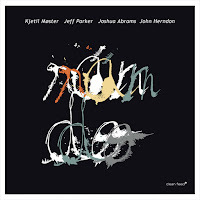 The album is book-ended by ‘Orko’ and ‘Pajama Jazz’ where the bass and drums, provide a more traditional role in that of the rhythm section, particularly in the latter, with Parker on the guitar also providing a harmonic backing whilst Møster’s sax doodles and sketches out an array of subtle and understated shapes. Ran Do is a refreshing album that sits well within the historical canon of improvised music, it provides us with a music that is made up of coalescing sounds which overall create a resonant wholeness. Six vocal artists, each explore this unique artistry in his own, highly creative and personal way, and all remind us how much the voice itself - naked, manipulated and processed - is still one of the most powerful means of musical expression. 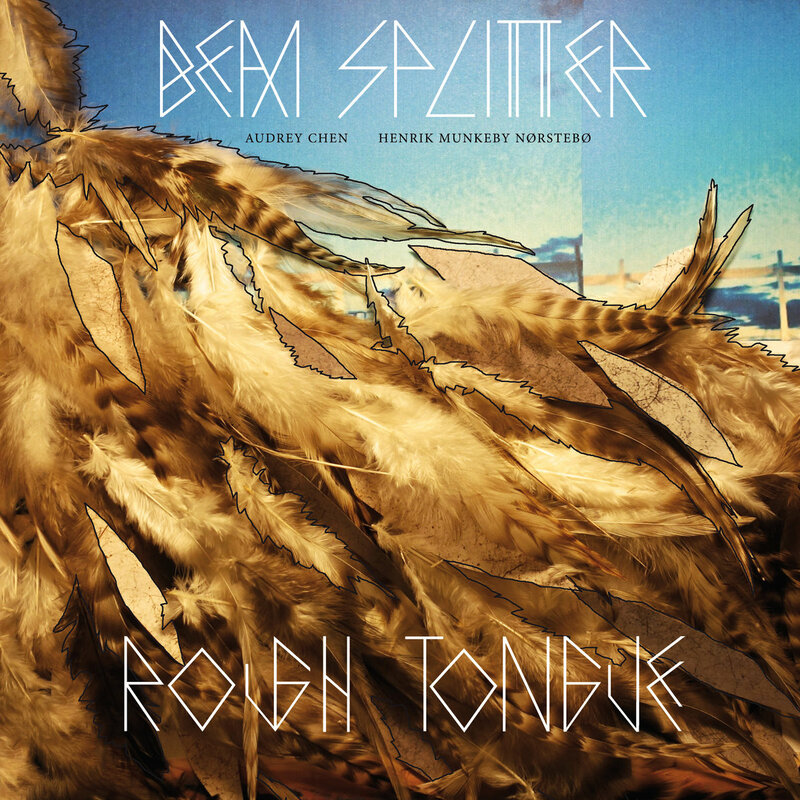 Beam Splitter is the duo of Chinese-American vocalist Audrey Chen, who also plays the cello and electronics in other projects, and Norwegian trombonist Henrik Munkeby Nørstebø. The duo began working in 2015 and has toured extensively since then on both sides of the Atlantic, often collaborating with other improvisers as vocal artist Phil Minton, electronics pioneer Bob Ostertag and trumpeter Lionel Kaplan. 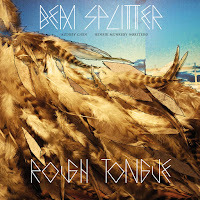 Tough Tongue, Beam Splitter’s debut album, was recorded live at the Viennese Rhiz club, at Caffeine Asperto in Ljubljana and in Berlin’s Weincafé, all during 2016. It is released in a limited-edition of 300 red vinyls plus download option. Chen and Munkeby Nørstebø explores the spectrum between expressive, abstract vocals and the trombone as an instrument that channels pure bubbles of air and streams of breathes, intertwined in dense dialogues. Despite the abstract nature of Beam Splitter's aesthetics, Chen offers highly emotional and suggestive territories with her urgent, wordless lingo while Munkeby Nørstebø embraces gently her vocal forays with raw, tactile breathes, and serene drones. Both move organically, keeping a highly intimate, conversational mode, with their own senses of pulse and narrative development. The last, longest piece, “Sweet Nothings”, captured in Berlin’s Weincafé, introduces rough elements of conflict and confrontation to Chen and Munkeby Nørstebø dialogues. These elements add a deeper, vulnerable dimension to Beam Splitter's intimate mode of sonic relationship. This 22-minutes piece concludes with newer, sweeter and compassionate understanding between these unique individuals. Redox is the trio of Austrian, Graz-based vocal artist and electronics player Annette Giesriegl, pianist Katharina Klement and Croatian, and Brussels-based marimba player Kaja Farszky. All are performers of contemporary music as well as bold improvisers. Redox was formed in 2014 and Orbitals is its debut album, recorded live in the Austrian town of Kumberg and in Croatia’s capital Zagreb in 2015 and 2016. The term Redox - reduction-oxidation - refers to the process of transfer of electrons between two bodies, and redox reactions are used to power smartphones, laptops etc. Orbitals is the mathematical description of the wave-like behavior of electrons in atom. These elaborate, scientific terms do capture the essence of this trio. 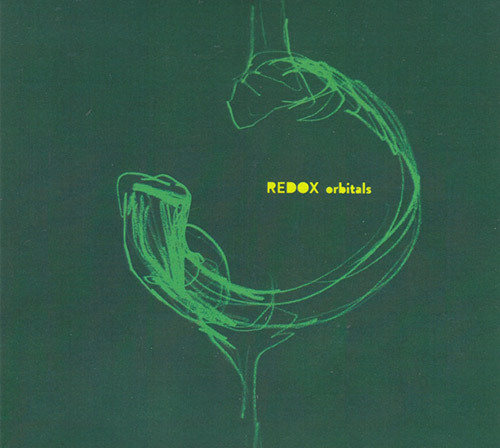 Redox operates in a busy, very vivid process of sharing, sculpting and charging voices and sounds with shifting elements of expressiveness, energy and momentum. The trio employs a wide arsenal of sounds - acoustic ones, extended ones with different vocal and breathing techniques as well as assorted piano and marimba preparations, and subtle electronics. 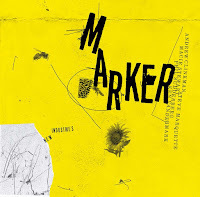 Giesriegl, Klement and Farszky exchange roles constantly, each one intensifying the tension, the fragile pulse and narrative in her own distinct, eccentric manner. 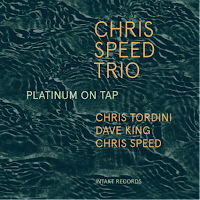 The nuanced and mysterious textures are developed in a methodical manner, insisting on an uncompromising investigation and experimentation with timbres and dynamics, with almost no attempt to suggest emotional release. 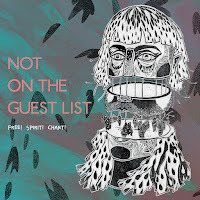 Not On The Guest List consists of the Norwegian, Copenhagen-based drummer-percussionist Ole Mofjell and vocalist Natalie Sandtorv, a couple also in real life. Sandtorv is also an accomplished singer-songwriter who released recently the acclaimed album Freedom Nation (Øra Fonogram, 2017) and Mofjell is in-demand drummer who has collaborated with pianist Jacob Anderskov and sax players Tobias Delius, Anna Högberg and Aram Shelton. Sandtorv uses her voice as an ecstatic, even hysterical instrument, sometimes dueling, often dancing passionately with the propulsive, schizophrenic drumming of Mofjell. Their deep, immediate understanding and almost telepathic connection allows Not On The Guest List to move instantly, back and forth, between highly intense and powerful free-improvised outbursts to delicate and soft stream of improvised lyrics, while holding their tight and focused interplay. Obviously, and quite often, Sandtorv and Mofjell improvisations sound as restless emotional conversations of two opinionated soul-mates, but both manage to keep the tension and surprise with their urgent and colorful spectrum of sonic references. 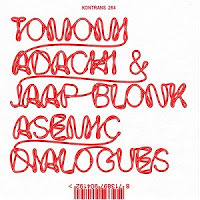 Dutch vocal artist-sound poet-electronics player Jaap Blonk needs no introduction. Here he performs with lost twin, Japanese vocal artist Tomomi Adachi, who like Blonk, has performed contemporary works, collaborated with numerous improvisers, among them Akira Sakata, Otomo Yoshihide and Jon Rose, and adds electronics to his unique palette of vocal sounds. 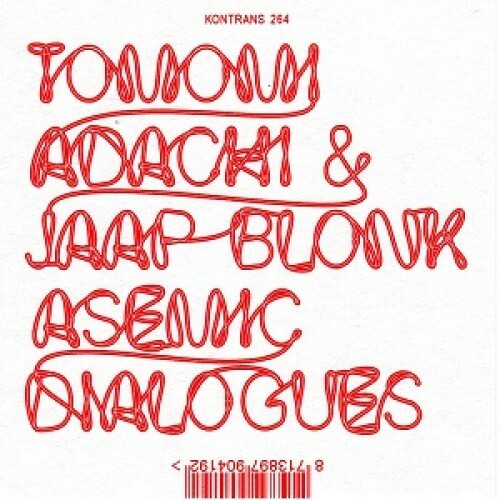 Blonk and Adachi performed together few times in the past but Asemic Dialogues is the first document of their work, capturing their live performances at Berlin’s Lettrétage on July 2017. The title of this album says it all. No words or semantics are needed, but tons of verbal-emotional information is exchanged. These eccentric, restless twins dive immediately, head-on into noisy conversations that sound as secret, fragmented transmissions of two out-of-tune-aliens with extremely short spans of attention. These terrestrial creatures are clearly deeply in love, demonstrating great affinity for Dadaist vocal games and primitive techno beats. The second dialogue is even wilder than the first one and it seems that the beloved and adventurous vocal explorers were lost somewhere in deep, noisy space. These irresponsible anarchists show no sign of interest in return to mother Earth. The ones who are still novice in the art of Blonk may want to check his Irrelevant Comments, a sort of overview of all the things that Blonk can do: Musique concrète, beats, sound poetry, minimalist techno, horrific soundscapes and even weirder stuff. 16 pieces, dating from 1996 to 2016, recorded at Blonk’s home at Arnhem, Netherlands. 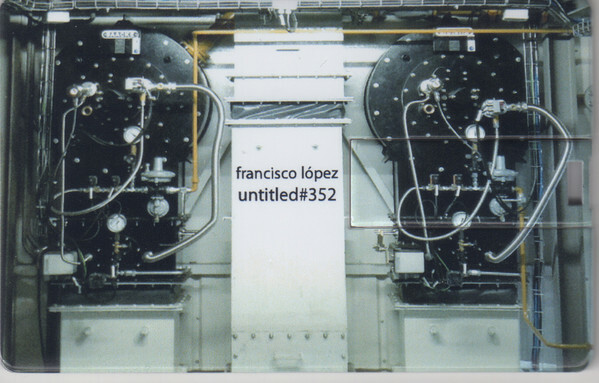 If Blonk toyed with "minimalist techno", Native Instrument explorers "insect techno." 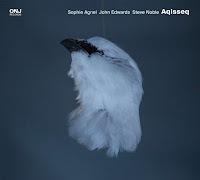 This Berlin-based duo of Norwegian abstract, minimalist vocalist Stine Janvin Motland, known from her past collaborations with drummer Ståle Liavik Solberg, and Australian field-recorder and sound-artist Felicity Mangan uses vocal and electronic adaptations of wildlife audio recordings originating mainly from the Australian and North European fauna. Native Instrument mixes the rhythms of the animal calls, add digital effects, radio recordings, and vocal imitations until the distinction between rural nature, electronics, and the human voice becomes ambiguous. 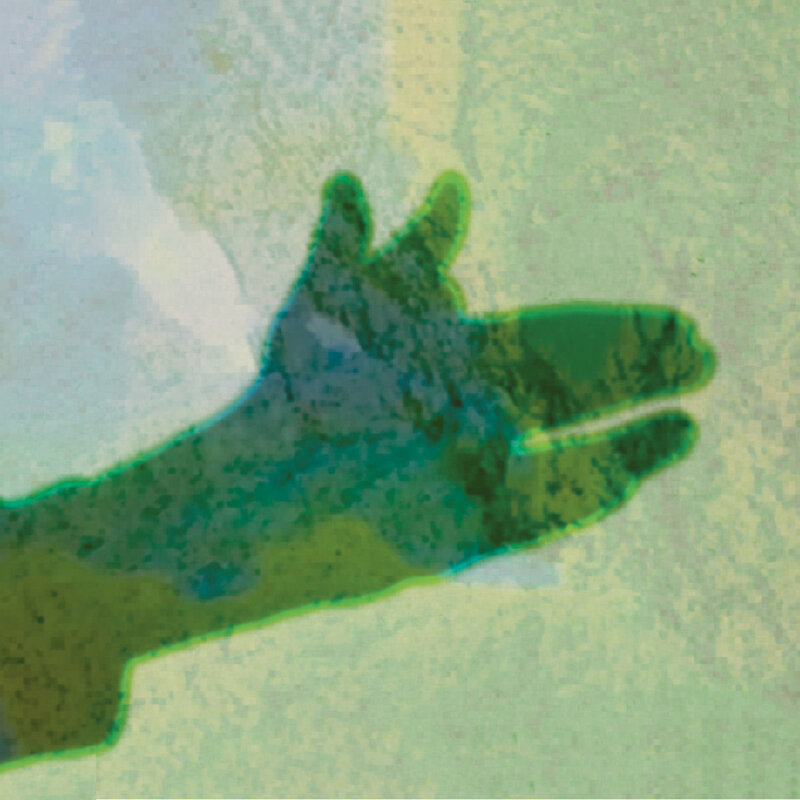 Camo is the debut EP release of Native Instrument. The four fascinating pieces entwine organically the natural voices with precise and subtle vocals and electronics layers. It doesn't take long before you begin to visualize the dances of frogs on acid, sweating in some steamy tropical ambience, jumping recklessly along some bug beats or experiencing the amphibian trance. Highly intoxicating stuff. This year's 14th annual Winter Jazzfest - now a sprawling eight day affair featuring over 600 musicians - was themed "Social Justice Engagement," and indeed, there was a sense of urgency in the air. The message was carried by the musicians in projects like Marc Ribot's Songs of Resistance, captured in talks like "The Long March" with Archie Shepp, and encapsulated in many of the performances throughout the week. I begin here with first 'marathon' night on Friday ... the festival had already been in progress since Wednesday, but the marathon nights on Friday and Saturday are the ones where something like 100 bands play at venues throughout the East and West Villages and some even further downtown. It's not easy to chart your path - some folks choose a single venue and stick to it, or like me, they careen wildly between as many as they can, hoping to catch all they can. 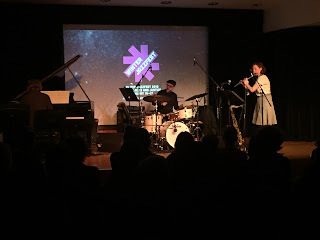 I caught five shows, starting with Anna Webber's Simple Trio at a New School stage. Working off her complex charts, the saxophonist/composer, along with pianist Matt Mitchell, and drummer John Hollenbeck delivered a brilliant and energizing open set. Next, I wandered over to The Bitter End for Gard Nilssen's Acoustic Unity. 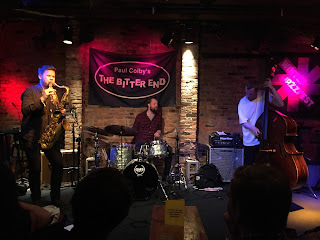 The trio from Norway, with a recent devastatingly good triple live CD on Clean Feed, demonstrated what makes them so devastatingly good: a deep connection with classic free jazz and the technical proficiency to take it several leaps beyond. Saxophonist André Roleighten playing is both melodic and fiery, drummer Nillsen leaves no musical space unattended to, and bassist Petter Eldh is a propulsive powerhouse, yet he proceeds with nuance and texture. 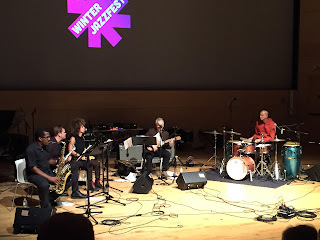 It was a quick set, 45 minutes flew by without pause before I found myself trekking back up to the New School for Marc Ribot's Songs of Resistance. The guitarist was fired up. 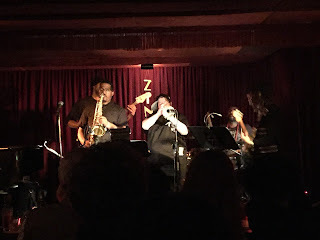 In addition to his guitar and vocals, the band was James Brandon Lewis and Briggan Krause on saxophone, Domenica Fossati on vocals and flute, and Shahzad Ismaily on drums, who all served as critical support to the set of original and borrowed protest songs. The inspiration, Ribot explained, came from his participation in last year's Women's March in Washington. Tonight, his guitar playing took back seat as he mostly strummed a gorgeous antique Guild acoustic or tiny Raquinto. His cohorts made up for it, Lewis laid down often blues-tinged lines, and Krause filled in the spaces that Fossati left between her lush singing and moving flute work. Citing the recent politically motivated arrest by ICE of immigrant and activist Ravi Ragbir, Ribot launched into a tune that began as a lullaby but turned into an angry screed. An Italian resistance song was the piece de resistance of the set, after which a collective sigh from the audience followed. They closed with an original, 'Donny's No Good', for which Ismaily delivered a funky backbeat as Ribot's provided a lyrical psychological breakdown of the titular character. 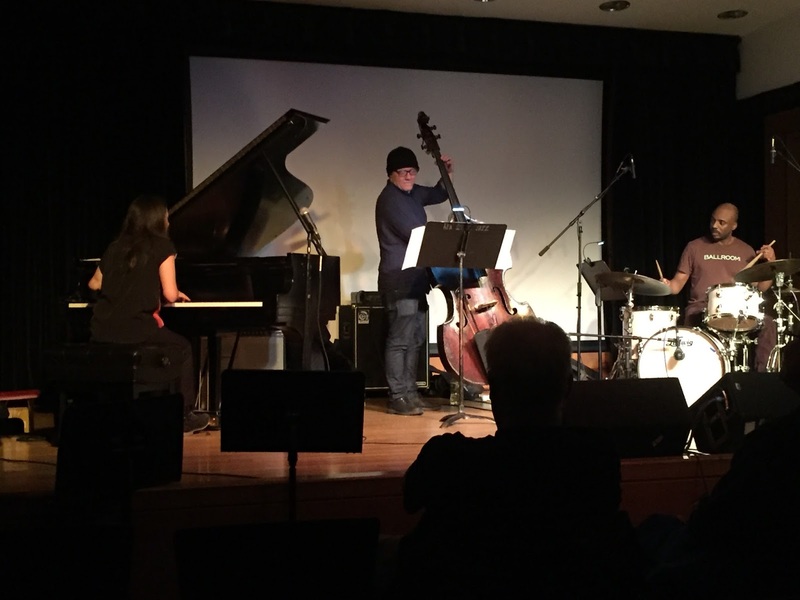 Now charged up and ready to fight as well, I dropped by pianist Mara Rosenbloom's trio set in progress to cool off. With Sean Conly on bass and Chad Taylor on drums, Rosenbloom played a lyrical set. Steeped in a traditional jazz vernacular but pushing the edges, a palpable joy radiated from Rosenbloom, especially when she dug in and let the moment carry her. My plan next was to head to the Lower East Side to catch Rudresh Mahanthappa's Indo-Pak Coalition, but weekend subway work proved to be insurmountable. I ended up at the nearby Zinc Bar instead and caught James Brandon Lewis' "Unruly Notes" set featuring trumpeter Jamie Branch. I will not complain, fate landed me at possibly the night's highlight show, as Lewis and Branch tore up the place with the punchy rhythm section of Warren Trae Crudup III (drums), Luke Stewart (bass), and Anthony Pirog (guitar). The first tune was a holy-Coltrane crescendo, Branch's trumpet cutting through and Lewis seeming like he could go on forever. But he didn't, Instead they slid into a complex syncopated groove. As the trumpet shot notes like a nail gun, it really felt like something was happening. I missed the second day of the marathon, but I thoroughly interrogated several attendees, and I’m confident that it was another good night of music. I rejoined on Tuesday for Tyshawn Sorey and Nicole Mitchell at Le Poisson Rouge. When I arrived, there was already a packed house for the aforementioned panel discussion, "The Long March," moderated by Ras Moshe Burnett, on the past, present, and future of the role of jazz in protest. Interestingly, the timing of festival overlapped both Martin Luther King Jr. Day and the disturbing report of Trump's "shithole countries" remarks, and the panel had a lot of ground to cover. Saxophonist Archie Shepp’s closing words are still reverberating in my ears: "Freedom is something that you must guard very closely ... I'm afraid today that we are losing ground." While a bit of a heavy ending to a charged conversation, spirits were high for Sorey's solo set, which had been advertised as "a solo percussion and synthesizer set, in his own idiosyncratic display of sonic Zen koans, Dadist gestures, and master displays of intensity and restraint." The stage was dark and the focus was on the percussionist, as he began creating an atmosphere. 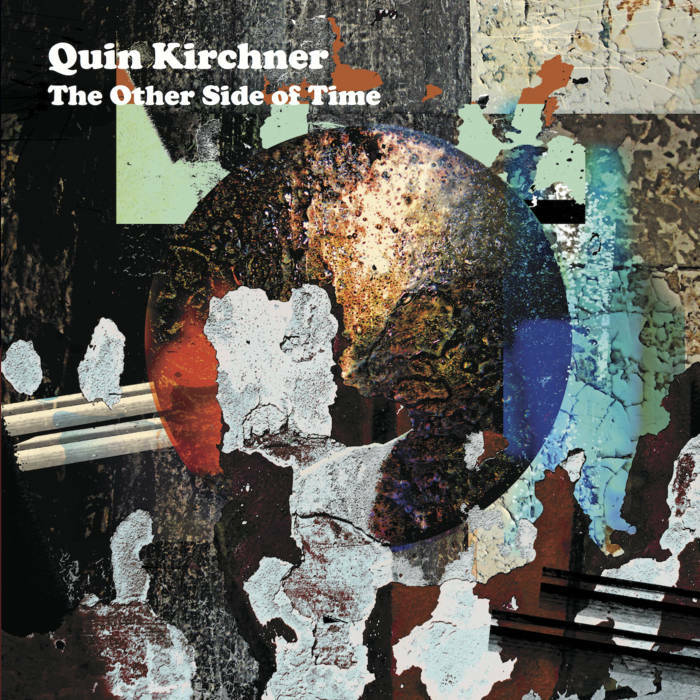 Throughout the sometimes patience testing set, which was one evolving piece, there were many captivating moments, like for instance the hypnotically repeating, but never the same, glockenspiel melody as the start and end, and the minimalist piano passages underscored by occasional throbbing synthesizer. 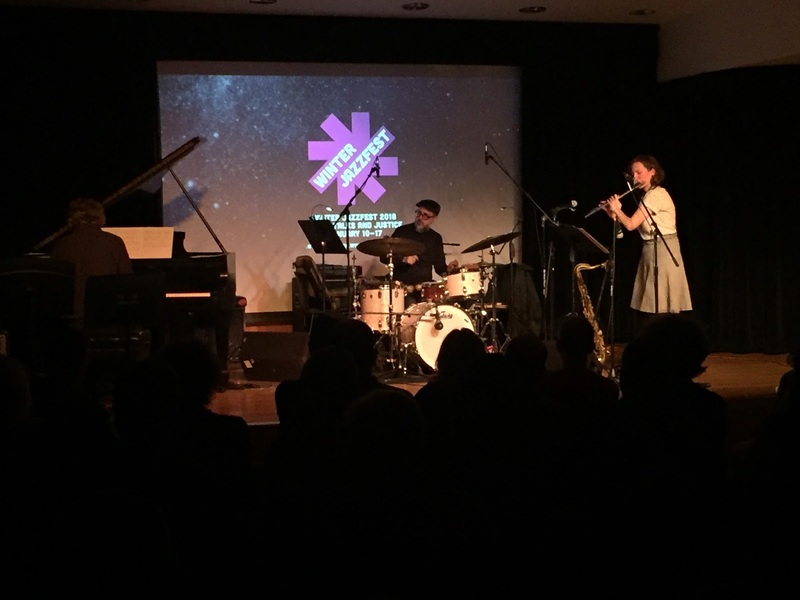 Flutist and composer, Mitchell, who was the artist-in-residence for the festival, performing several times over the week, was this night leading her current Black Earth Ensemble octet. It was a great, wide-ranging performance, though marred a bit by tinny sound. Mitchell's Mandorla Awakening II: Emerging Worlds was one of 2017's more celebrated albums (it certainly figured highly on this blog's top 10’s) and her group, with outstanding musicians like violinist Mazz Swift, cellist Tomeka Reid, and vocalist avery r young, performed it with passion. Set in the fictional context of a utopian island within a planet beset by a warring, polluting, and dying civilization, the text asks questions of reconciling technology and nature. Though I didn't follow the narrative closely, I enjoyed the range of instruments and moments of searching leading to other moments of exhilaration. While the festival was not an all-political event, as there were many concerts that made no mention of politics at all, politics was also just one of the festival's agendas. 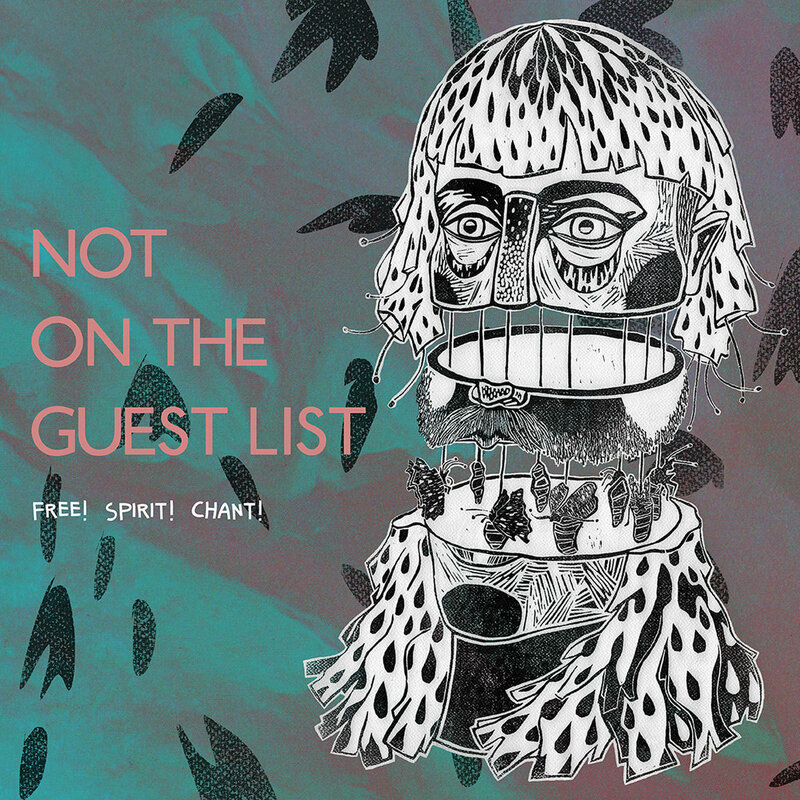 Another feature is the sheer amount and diversity of music to choose from, drawing both mainstream and progressive listeners together into an interweaving array of events. 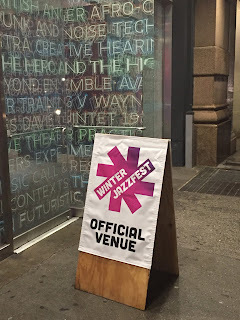 Among the other events, was a tribute to the late pianist Geri Allen and a concert with post-rock band Deerhoof with trumpeter Wadada Leo Smith. 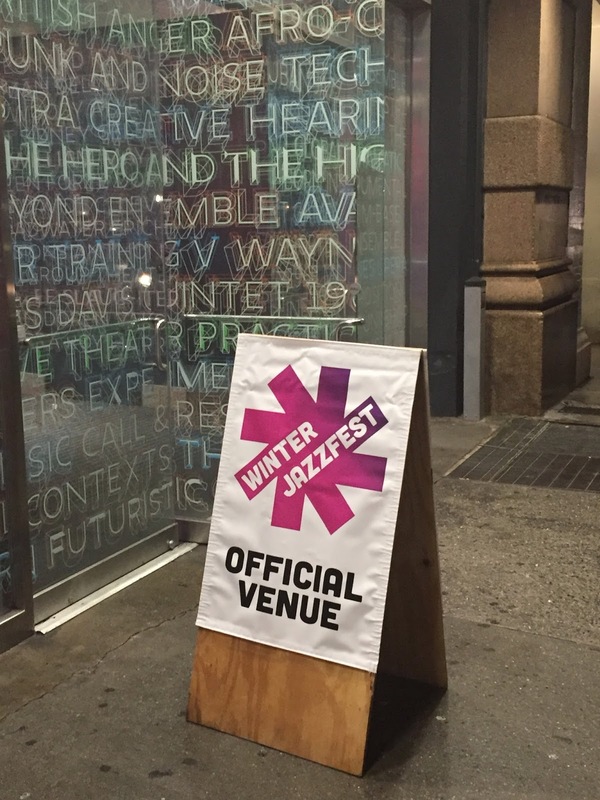 What I was able to attend was adventurous and ear-opening and but a small sliver of the Winter Jazzfest's program.